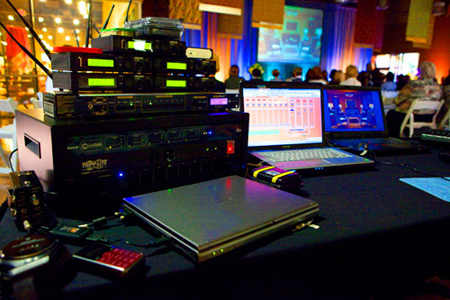 CPN Audio Visual is highly skilled at audio services for events and provide the best quality rental audio equipment for any type of event be it a simple speaker or a full stage show. With a variety of microphones, speakers and audio equipment we can help you deliver your message flawlessly and with punch. We have an array of different microphones to suit any type of event. Our extensive collection of microphones include; standard handheld microphones, wireless lavaliers, pzms, gooseneck microphones, condenser microphones and others. 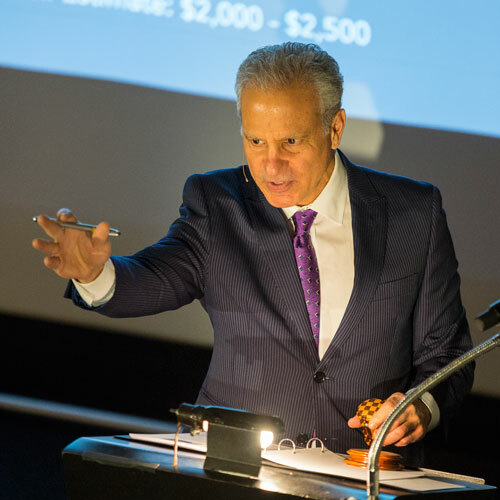 Wireless Microphones are always on demand for the convenience of being able to roam with the microphone in hand or to pass the mic around for guest speakers and audience participation. You can’t go wrong with lavaliers for total mobility and performance at line of site distances up to 500ft. Wireless lavaliers are the most common microphone of choice for public speaking but for a more discreet look we head-worn microphones. 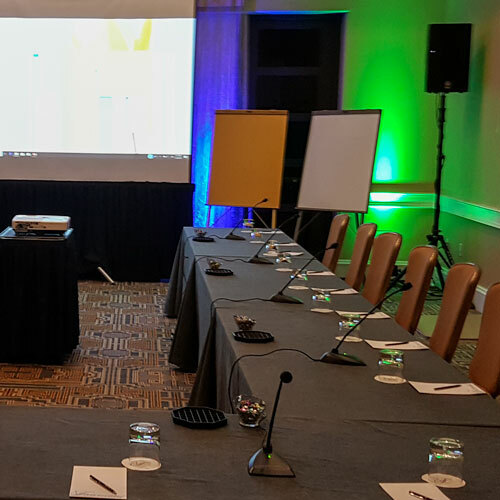 Our podiums are commonly wired with gooseneck microphones which can also be used for panelists and board room situations. Condenser Microphones are clean, clear and crisp sounding microphones commonly used for choir, musical instruments, or any live field recording setting where extra sensitivity for rich clear sound is needed. If you have a special request just ask. PZM microphones are ideal for video-conferencing and meeting room applications. 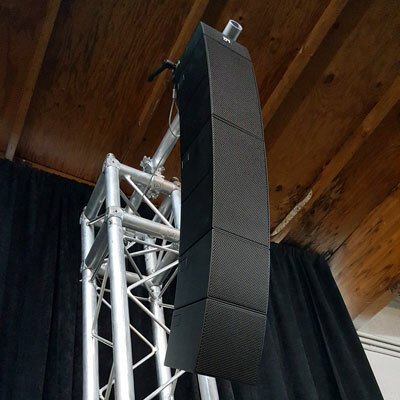 We have an extensive collection of audio speakers for rental in a variety of sizes and styles that can fill any size room, suit any size audience, and make any type of audio sound clear and powerful. 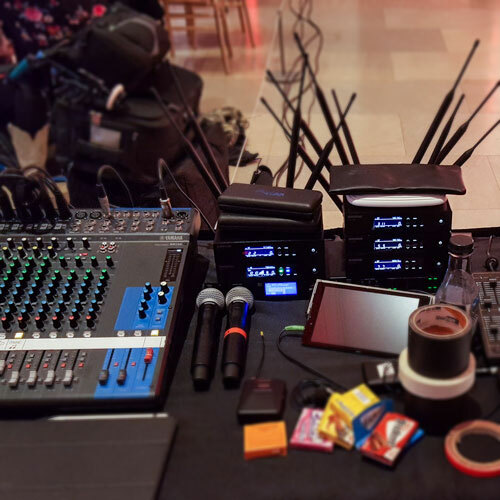 CPN will ensure your event will be heard loud and clear from every part of the event space including on stage monitors which are available for your performers. We use Yamaha, QSC and LD Systems Curve 500 TS Array Speaker System. Ask about the LD Curve 500 Speakers - they sound amazing! With a thin profile, these LD Curve 500 TS speakers display a modern sleek design while providing maximum room and frequency coverage. They feature three high frequency speakers and one midrange speaker and are mounted to a subwoofer base to complete the frequency range. In short, you'll want some for your home theater. We have all sizes of mixers for the amount of microphones that you require. We use audio processing devices such as the DBX Driverack and other feedback eliminators to ensure quality sound reinforcement with no feedback. We also have audio distribution amplifiers (aka press mult or press box) for reduced RF interference at press conferences. We can send you any kind of output necessary for recording or recording services can be provided of your entire event for archive, or transcription. Our expert technicians will ensure quality recording of audio and/or video and process the media for your use. We use primarily digital recording devices and can give you the recording on a thumb-drive. If you want a full live recording of the event we have all the equipment and technicians.